Wondering how to discover Budapest with their easy public transport system and have a wonderful time? 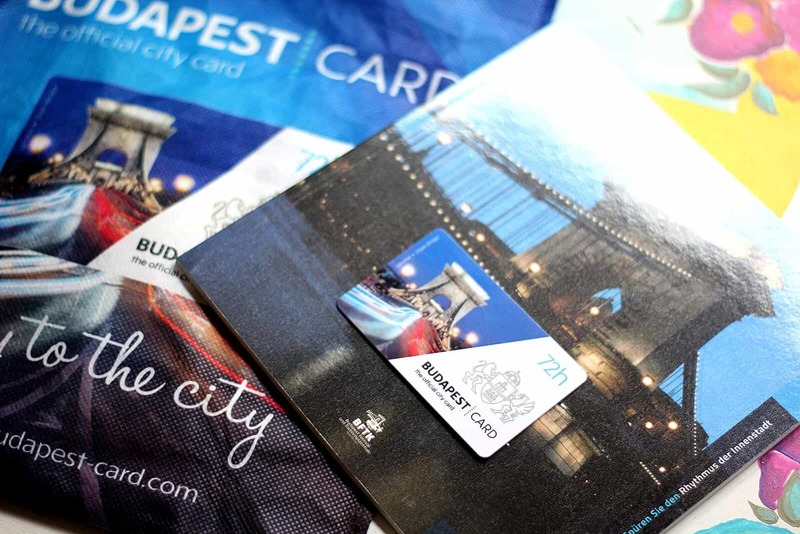 Here is what you need to know about Budapest City Cards. Living in a small town in the Netherlands we don’t often have the opportunity to experience big city lifestyle. Therefore whenever we visit a new city we indulge ourselves in the city life. We try to experience it in the same way the locals do. So we soak in the vibes, listen to the noise, walk through the crowds of people and use public transport to go from A to B.
Budapest is such a beautiful city with plenty to see so we needed to travel as efficiently as possible to make the most of it on our long weekend visit. We stayed in the most charming airbnb apartment which was close to public transport stops. We discovered the city through their great public transport system and had a wonderful time. In fact we started using public transport from Budapest airport to city centre and it was really easy! Budapest has a very efficient public transport system, you can easily get around to any touristic attraction by travelling in one of their metro and tram lines or buses. It is also cheaper than in most Western European cities. When we visited Budapest we had 3 x 72 hour Budapest city cards to cover our travel in the city for our long weekend. The cards are really very good value and can be purchased at a discount online before your trip here. Alternatively, you can find them for purchase in many offices and vendors throughout the city. 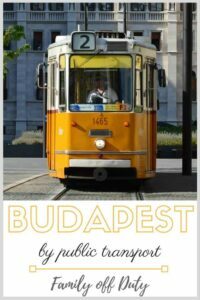 There are also Budapest cards available for 24 or 48 hours, depending how long you need it, however as expected the 72 hour card has the best value for money. The advantage of these cards is that they provide free access to all buses, metro and tram lines in and around Budapest for an unlimited number of trips during the card’s validity, as well as some discounts to sights in the city such as museums, spas and even some restaurants. Find more Family Friendly Destination in our travel section here! We initially used the cards from the airport to the centre of town, which was really easy and much cheaper than paying for a taxi. 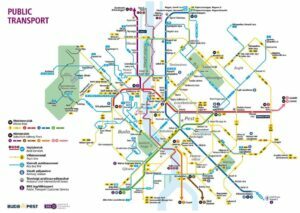 Once you familiarize yourself with the public transportation map, to use the transport in and around Budapest becomes very simple. The Budapest City Card is valid for one person and its validity is indicated on the completed date field on the back of the card. To use it is very simple; you just need to show it to the tram driver or to the ticket collector at the station to get access to the metro platform. There are 4 metro lines, 15 trolley bus lines, 32 trams and 200 bus routes in the city which seemed to cover everywhere we wanted to go. We never had to wait more than 10 minutes for a connection. The Budapest Card provides access to a variety of services and discounts for tourists. All three cards offer exactly the same benefits, the only difference is the period of time for which they are valid. Entrance to some sights is even free with the Budapest card, such as one free entry to one of the 12 of the museums and to one of the thermal baths. We visited Széchenyi Thermal Bath and had a 20% discount, but Lukács spa has free entry with the card. We used the card for free entry to the Budapest History Museum near the Buda Castle and were not disappointed. You also have access to two free walking tours with the card. The food in Budapest is also out of this world so make sure you plan your restaurants beforehand and reserve tables – some restaurants offer a discount with the card too. Unlimited use of the capital’s public transport system during the term of validity (buses, underground, trams, trolleybuses, BKK boats, and HÉV trains within the administrative boundaries of the city) +200E bus from the Liszt Ferenc International Airport to Kőbánya-Kispest, underground station. Free entry to the permanent exhibitions of the following museums: Budapest History Museum; Aquincum Museum; Kiscelli Museum; Vasarely Museum; Hungarian National Gallery; Hungarian National Museum. One free entry to Szent Lukács Baths and Swimming Pool. Tourism information bureaus at the Budapest Ferenc Liszt International Airport (Terminals 2A & 2B). Tourism information bureaus in Sütő Street, on Heroes’ Square and in Buda Castle. The front desks of hotels. Mobile tourism information points around town. For more information about these cards, please visit the website of Budapest’s official organisation for tourism and culture. Disclaimer: I received one or more of the products or services mentioned above for free in return for providing my honest and unbiased review. I only recommend products or services I use personally and believe will be good for my readers. A family that loves traveling, exploring, learning from locals and new cultures. 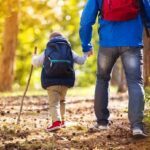 We share our best travel tips, family vacation itineraries, adventurous stories and travel photography to inspire you to make your family travel dream a reality.